Guigo II was the 9th prior of the Grande Chartreuse, France. Little is known of him other than that he became prior of the monastery in 1174 and that after a few years in office he resigned. We know nothing more of him except that he died in 1188. Guigo wrote this short text as a letter to his friend and brother in religious life, Gervase. The spirituality that Guigo teaches is typically ‘Western’ in style and approach. 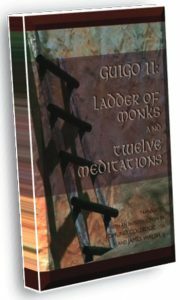 Guigo begins by saying that while he was working with his hands, ‘all at once’ an image came to him of the spiritual life: four rungs of a ladder which begins on earth and ends in heaven. This is not the first time the spiritual life had been described as a ladder or a series of stages. Jacob sees a ladder going up to heaven (Genesis); Origen sees the spiritual life as a series of stages (purgation, illumination and union); John Climacus uses the image of a ladder; Dionysius the Aeropagite also writes of stages in the spiritual life. The gift of contemplation usually comes only after prayer, meditation and reading. His four steps do not constitute a ‘method,’ but are more like a movement. When one has finished praying, one returns to reading; or one can go back to meditating; or, after moments when one experiences the touch of God, one goes back to praying, or to reading, or to meditating. It is rooted in the Jewish tradition of reading. The power of the Word of God to transform a person has always been recognised. Origen (184-236) proposed a way of reading Scripture as a way of finding direction in the spiritual journey. He often uses the image of ‘digging’ to describe the act of reading and praying. He reminds his reader to ‘start digging the wells of living water, from which you can draw the Spirit’. The Desert Fathers, starting with Anthony, proposed reading Scripture as the fundamental ‘diet’ of monks. Monks were to memorise whole sections of the Bible. St Jerome, St John Cassian, St Gregory the Great, St Augustine, St Bede, St Bernard, and Isaac the Syrian all insist on reading, meditating, and praying the Word of God as fundamental to the life of a Christian. 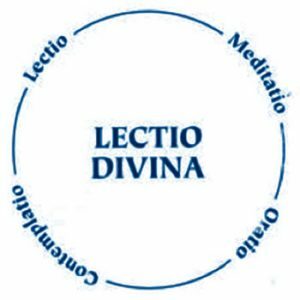 2) Lectio Divina is not easy for people of our time. 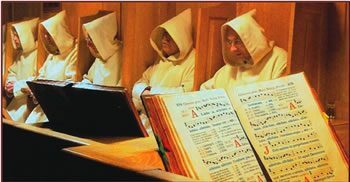 We have been overexposed to words; we have a preference for images; we are used to speed reading, skim reading, rapid reading, reading ‘bites’ – all this is contrary to Lectio Divina. But it is ‘reading a text spiritually.’ This is like reading a text the way a lover reads a letter of love - catching the hidden meaning between the lines. The practice of Lectio Divina began to be eclipsed in the thirteenth century. Scholastic theology replaced the ancient ‘monastic theology’ which was based on the practice of Lectio. Lectio was divided into two distinct practices: prayer and study. The traditional lectio divina was replaced by lectio spiritualis. Meditatio led to Disputatio -- Discussion. The Protestant Reformation brought a return to reading the Bible; but the Catholic response was cautious. A revival in Lectio has taken place in the last 50 years. Pope Paul VI, in his Constitution Dei Verbum, recommended the practice. Pope Benedict XVI also emphasised the importance of the practice of Lectio Divina. 1. One who practices Lectio Divina needs to be one in whose heart is the desire to ‘seek the face of God’ (Psalm 104:4), and to ‘hear what the Lord God has to say’ (Psalm 84:9). 2. Lectio Divina is not ‘spiritual reading’ but ‘reading in a spiritual manner’, as a lover reads a letter from the beloved. 3. Sacred Scripture is the prime, but not the only, source of Lectio Divina. 4. Make your reading, lectio, a ‘careful study’ of the text, reading slowly and attentively. 5. Make your thinking, meditatio, a ‘busy application of the mind’ to the text, like someone chewing food, breaking it up and digesting it. 6. Make your prayer, oratio, a matter of the heart, an expression of your heart’s desire to be given the gift discovered in the text. 7. Contemplation, contemplatio, is God’s gift and cannot be gained by human effort. 8. The four rungs of the ladder are linked, but not in a gradation: lectio is linked to meditatio; meditatio leads to oratio; oratio opens the heart to contemplatio.